Lately I’ve been having a craving for my childhood sweets, so upon not being able to find them locally, I found a store online that sells individual packages of all our favorite vintage candy. 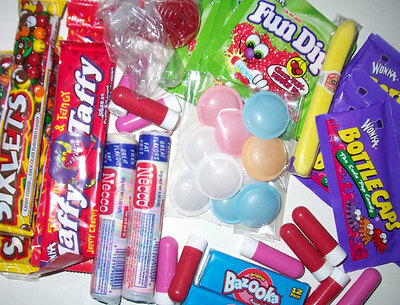 My favorite: Fun-Dips, Bottle Caps, Flying Saucers and those amazing lipsticks. What are your favorites?